Laura Fitzsimmons, the personal lawyer for Clark County Commission chairman Steve Sisolak, delivered the letter demanding the retractions to Laxalt’s campaign office in Reno. “You have falsely and maliciously accused me, in statements broadcast over television, the internet and news media, of criminal and egregious unprofessional conduct,” Fitzsimmons wrote. Laxalt’s campaign fired back Tuesday afternoon. “We aren’t threatened by these classic Steve Sisolak intimidation tactics,” said Laxalt campaign spokesman Parker Briden. Fitzsimmons was Sisolak’s lawyer during a lawsuit against Clark County that awarded Sisolak $23.5 million in 2005 after the airport refused to pay him for height restrictions imposed on a parcel of land he owned. The ads are aimed focus heavily on Fitzsimmons and government contracts she was awarded after Sisolak was elected to the county commission. Fitzsimmons argued that Sisolak was not involved in awarding that contract. “In terms of the contract, his only involvement was to be one of the members of the Clark County Commission who unanimously approved the contract on the consent agenda, at the request of the Clark County District Attorney,” she wrote. 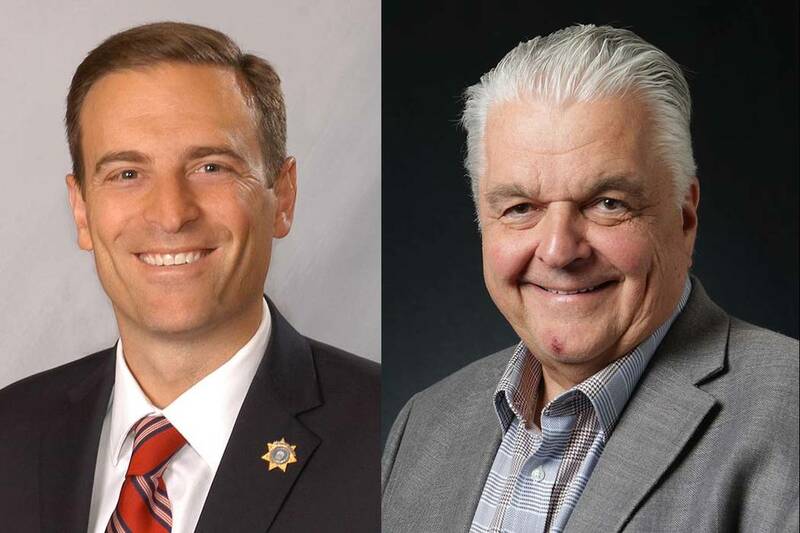 Fitzsimmons’ letter comes on the heels of a letter sent by an attorney representing Sisolak’s ex-girlfriend, Kathleen Vermillion, who asked the Laxalt campaign to stop using statements she made in 2012 about Sisolak that she says were fabricated while she struggled with drug and alcohol abuse. After seeing the Laxalt campaign’s response, Fitzsimmons said she expects the attacks to continue. But she said she fully intends to follow through with the lawsuit.